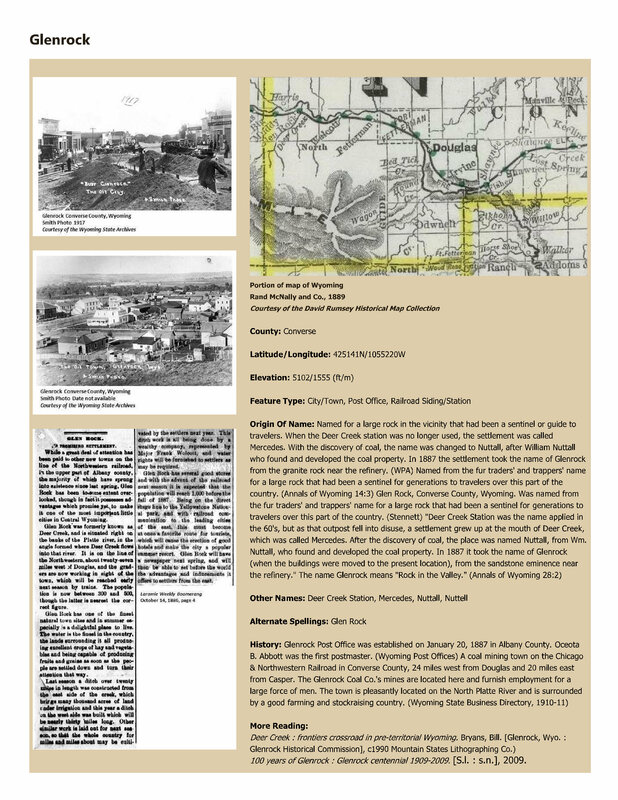 Topic: Deer Creek : frontiers crossroad in pre-territorial Wyoming. Bryans, Bill. [Glenrock, Wyo. : Glenrock Historical Commission], c1990 Mountain States Lithographing Co.); 100 years of Glenrock : Glenrock centennial 1909-2009. [S.l. : s.n. ], 2009.